Welcome to the on-line home of The Soul’s Journey and TSJ Publications. Our soul’s journey takes us along many paths, through forests and deserts of experience, as we cross lifetimes on our quest for love, power, wisdom, peace and our true connection to the Source, our Buddha nature or the many other ways this Divine Essence is called. Your search has brought you here for a brief stay. At this site you will discover the works of Lawrence Edwards, PhD, BCN Senior Fellow, LMHC, a meditation teacher and transpersonal psychotherapist, as well as a medical school faculty member and board certified neuro-biofeedback clinician. For more information on Dr. Edwards’ clinical work please visit Optimal Mind®. Lawrence is a recognized expert in the field of Kundalini, our innate power of Consciousness that creates the highest order of transformation and revelation. This power is the foundation of all yogic, mantra and meditation practices. 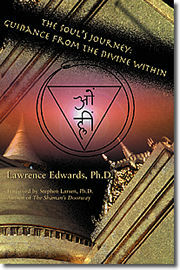 Lawrence is regarded by many as a modern mystic known for his love of the Divine. In 2001 he founded the The Anam Cara Meditation Foundation, a 501 (C) 3 non-profit educational organization dedicated to teaching meditative practices from a variety of traditions, making them freely available to everyone. On the Meditation page you will find written meditation instructions as well as free downloadable MP3 files of guided meditation and deep relaxation instruction. Many people contact Lawrence because he offers the wisdom that can only come from a life time of deep practice deep in the Kundalini, yogic, and Buddhist traditions. Every spiritual tradition has its name for the power of the Infinite that compels us to seek the highest, to look beyond the mundane to know the Source, to know what transcends the mind. It is called the Holy Spirit, Shekinah, Chi, N’um, Shakti, Consciousness, and by many more names. Kundalini is the yogic term for the power of the Divine that propels us along our journey beyond the ordinary mind into the infinite expanse of unspeakable Oneness. This awesome, transpersonal power, Kundalini, is often misunderstood, especially in the West. Kundalini is referred to as a Goddess in the East, as the Divine Feminine is the archetypal power of creativity, giving birth to all forms. Her effects, while transformative and supremely uplifting, may feel challenging at times and dis-integrative, especially as Kundalini does the work of setting the mind and body free from the many layers of conditioning that bind them. This allows for a higher order of integration and wholeness of Self to emerge. Traveling the path of Kundalini requires a truly experienced and learned mentor/guide. Kundalini awakening is the esoteric goal of all yogas and has been sought by sages for thousands of years. It leads one into the profound depths of meditation, states of rapture and union with the Divine, dissolution of self and the direct experience of the infinite spaciousness of Being. Kundalini Shakti, the power of the Infinite to reveal itself, gives numerous types of spiritually transformative experiences, visions, and can even spontaneously move the body into hatha yoga postures during meditation empowered by this supreme inner force. These phenomena may be misunderstood or even pathologized by traditional Western psychological perspectives. People undergoing Kundalini or spiritually transformative processes need to have an accurate understanding of what is happening to them and receive the kind of support that respects the workings of the Divine that are occurring to them. This site and Lawrence’s work are offered to help meet that need. In addition Lawrence created a Kundalini support site, www.kundalinisupport.org, with answers to commonly asked questions about Kundalini and additional resources. Please visit the Kundalini page for more information and links to two podcasts produced by Tami Simon and Sounds True of interviews with Lawrence as he illumines the path of Kundalini awakening. Kundalini empowered meditation is one of the most potent forms of meditation and Lawrence is one of the few meditation teachers who offers this, along with the traditional techniques and practices he teaches. 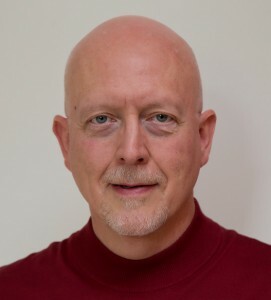 He offers instruction in meditation and visualization practices that span Buddhist, Vedantic, yogic and shamanic schools and include Western transpersonal approaches that lead into the depths of archetypal experiences, visions and states of unity awareness. 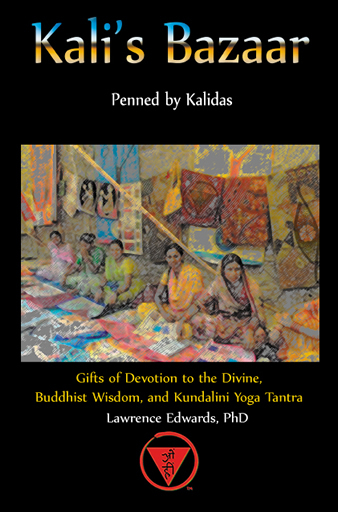 While studying clinical psychology in graduate school at Temple University, Lawrence did his doctoral thesis on the extraordinary effects of Kundalini. His own mystical experiences had begun years earlier and he was able to integrate these with his professional training and his extensive training in yoga and meditation. 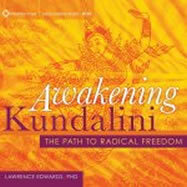 This comprehensive perspective, grounded in personal mystical experience, is made available through his books, The Soul’s Journey: Guidance From The Divine Within and Kali’s Bazaar, and through the comprehensive audio program Awakening Kundalini: The Path To Radical Freedom released by Sounds True in 2012. This 6 CD set provides 7.5 hours of in-depth understanding of Kundalini, guided meditations and practices, as well as chants and mantras to facilitate the gradual unfolding of one’s power of Infinite Consciousness. The book Awakening Kundalini: The Path To Radical Freedom, has additional teachings and practices that aren’t in the audio program, while the audio program has guided meditation practices and chants that are unique to it. 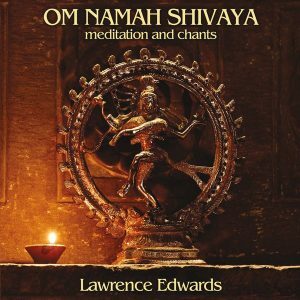 The newly released (10/16/16) OM NAMAH SHIVAYA meditation and chanting CD offers brief meditation instructions and the slow meditative Om Namah Shivaya chant that Lawrence composed and uses in retreats and meditation programs. There’s more information about these publications on the Publications page. In addition to these readily available works, there are seminars, courses, retreats and individual consultations offered by Lawrence. While you’re here you might explore the The Soul’s Journey Store for books and other products recommended by Lawrence that can support deepening your studies and practices. Lawrence draws on his extensive background in Eastern and Western traditions, Jungian psychology, brain research and more to suggest the best writings from a variety of traditions. Our audio store offers you direct access to Sounds True publications. Sounds True offers the finest audio programs from many of the most respected teachers. They’ve gathered an enormous pool of resources from the world’s spiritual traditions to support you on your path to greater freedom, wisdom and love.